First off, I want to thank everyone who bought the Japan Shirts the last month. 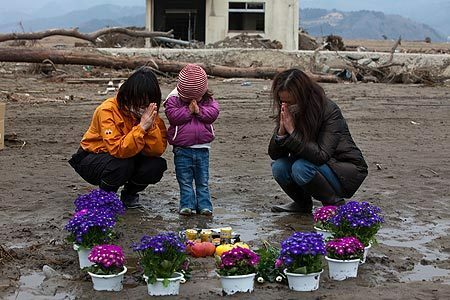 Your purchased helped Japan recover from their earthquakes and other disasters. So again, thanks! It seems as though people don’t even talk about it anymore, but Japan still needs our help, more than ever now! Exactly one month after the earthquake that started all this chaos, a 7.0 magnitude quake struck 100 miles north of Tokyo. This was only hours after the country had paid tribute to those killed only one month ago. Yesterdays earthquake made conditions so much worst in Japan. Even if it didn’t happen yesterday, Japan would still be in trouble. Survives are still looking for young ones. Wreckage is all around and rebuilding will take more than a while. Nuclear power plants are struggling to get fixed and over 80,000 people who lived near them have been evacuated. 7,000 schools were damaged and thousands of kids are unable to return. PKMNcast wants you to help us... help Japan! We made some sweet PKMN shirts showing how awesome Japan is, Pokemon Style of course. We are accepting Pre-Orders now. Shirts will be available at the end of this month. Only for a limited time though! It's something you don't want to miss! Profit goes to Japan Aid. You saw it coming, didn't you? Due to our new shirts, we are going to talk about the PKMN who inspired those two shirts. By the way, if you pre-order, you get a FREE gift with it! Plusle is a cheerful and supportive Pokémon, always encouraging comrades in battle by using the spark pouches in its cheeks. It is very compassionate towards its friends, and is known to cry upon witnessing a friend lose a battle. They are commonly referred to as cheerleaders for these actions. A Plusle may climb telephone poles to absorb electricity. Minun creates electrical pom-poms and sparks to cheer on its partners. Minun's stats are geared towards defense whereas Plusle's stats are sweeper-oriented. Minun's movepool is nearly identical to Plusle, except that Minun learns Charm and Trump Card and lacks Last Resort. Apparently, simultaneous exposure to electricity from a Plusle and Minun will promote circulation and boost vitality. Minun shares the same species name with its partner Plusle. They are both known as Cheering Pokémon. 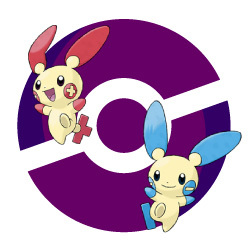 Minun/Plusle is considered by many fans to be a novelty Pokémon due to its general weakness unless paired in battle with Pokémon with it's partner. It appears mainly to showcase the double battle system introduced in its generation. Plusle and Minun have the same base stat total and the same base stats, Although they are located in different stats. The Pokémon Podcast is the FIRST Pokemon e-ink, digital, get-anywhere website/blog on the Kindle. If you like to read some of our longer articles, this is the easiest way to do it! The Kindle Edition converts the site into black and white easy-to-read e-ink that you can get wireless anywhere on your Amazon Kindle. The monthly price is $1.99. We promise to get that price down to .99 cents a month (we are still working out kinks with Amazon). Subscribe to enjoy our site in another form and support us!